The HHL – Leipzig Graduate School of Management has launched an innovative project known as GISBERT. 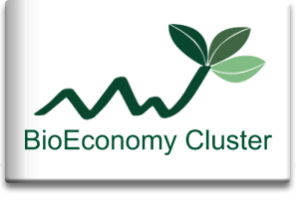 Its purpose is to connect research experts with regional start-up support in Central Germany within the leading-edge BioEconomy cluster and to help start-up and spin-off businesses get off the ground more quickly in the innovation fields of the bio-economy. The GISBERT project is funded by the Federal Ministry of Education and Research and will run until August 31, 2017. The first founders’ workshops and matchmaking events will take place in just a few months’ time. Most of the partners – not least the FGF – work on ways to bring together the research of the 44 joint and 144 individual projects with entrepreneurial potential for the region within the framework of the leading-edge BioEconomy cluster. To do so, they approach specific business founders who combine knowledge and skills in economics with an affinity for bio-based business models. The goal is to intensify technology transfer within the cluster whilst also putting new, young entrepreneurs in touch with potential investors. Matchmaking events such as “Economy Meets Science” and “Design Meets BioEconomy”, as well as pitching events or a special innovation “boot camp” are some of the specific kinds of occasions that take place. The first events were held in February 2016. One of the highlights involved incorporating the core topic of bio-economy into the annual HHL Investors’ Day on June 15, 2016, where teams of founders with innovative ideas were able to meet up with potential investors. Additionally, the Best Bio-Based Business Award was presented for the best pitches in the fields of bio-economy, bio-technology, life sciences and medical engineering. For further information on this project, please do not hesitate to contact project coordinator at HHL, Ms Busch (julia.busch@hhl.de).